​We have plenty of off street parking! If you go past Walmart you've gone too far. 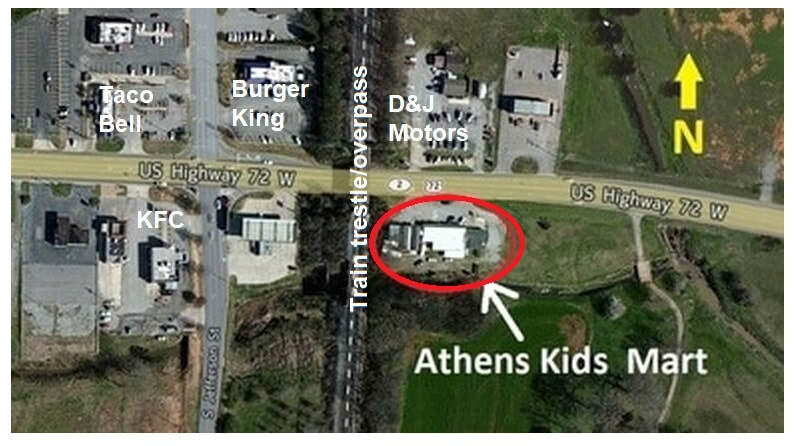 Like us on Facebook at Athens Kids Mart or click the Facebook icon or Email us or ​Call 256-233-4947.